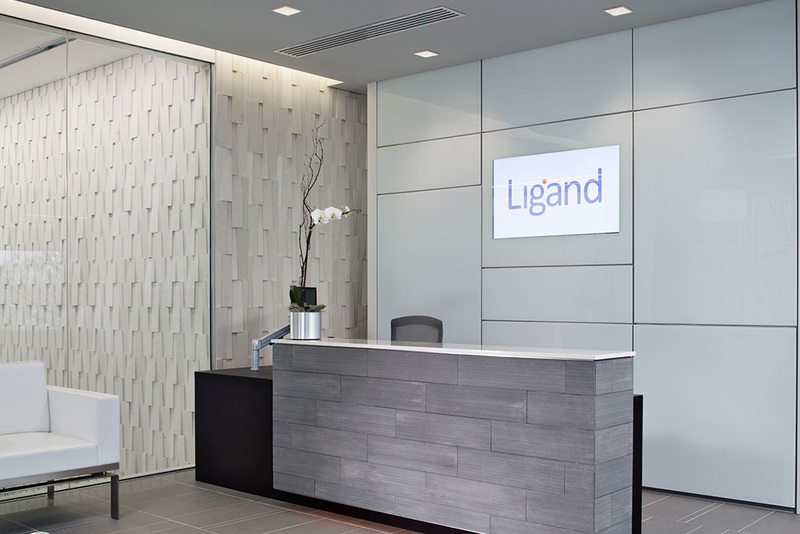 As Ligand’s business has matured, it has developed a commitment to highly collaborative work environments. 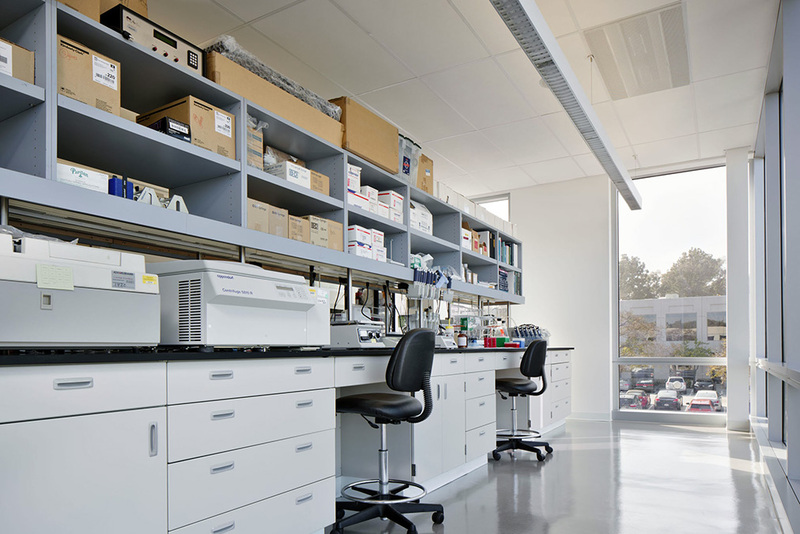 Ligand wanted to leverage that transition into an extremely open and highly flexible office and laboratory environment with an emphasis on interaction space, unstructured work environments and leading edge use of wireless electronic communication. 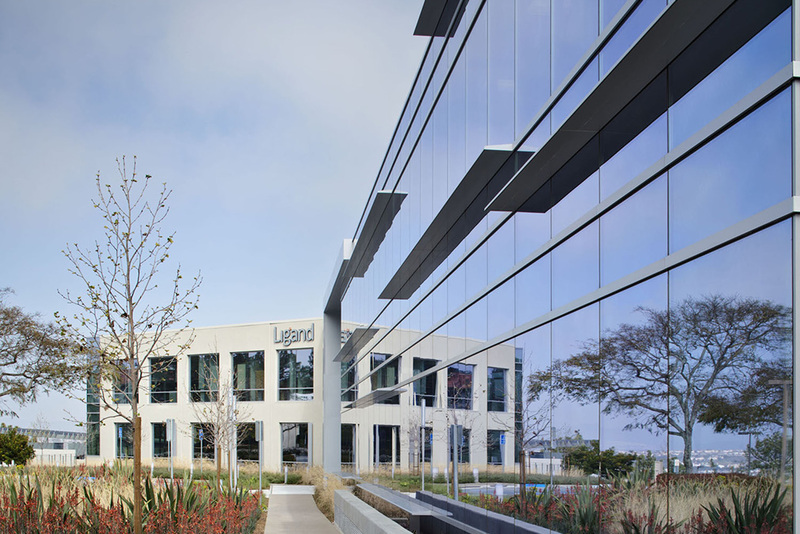 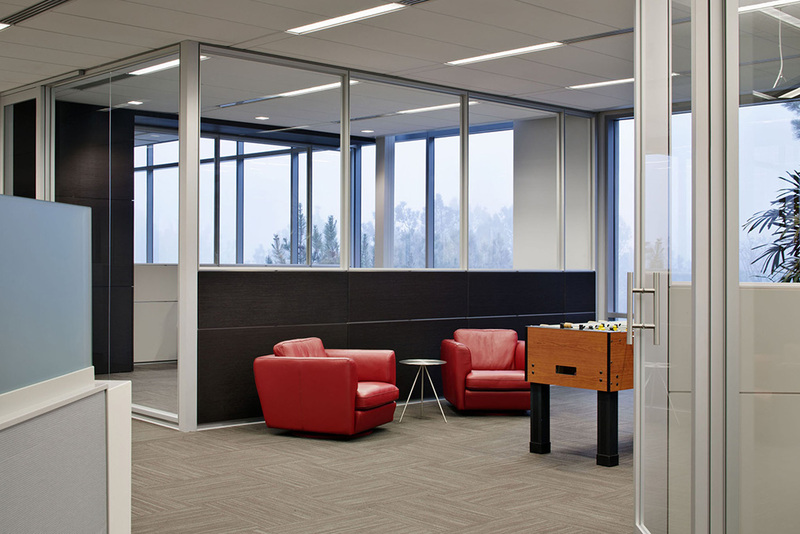 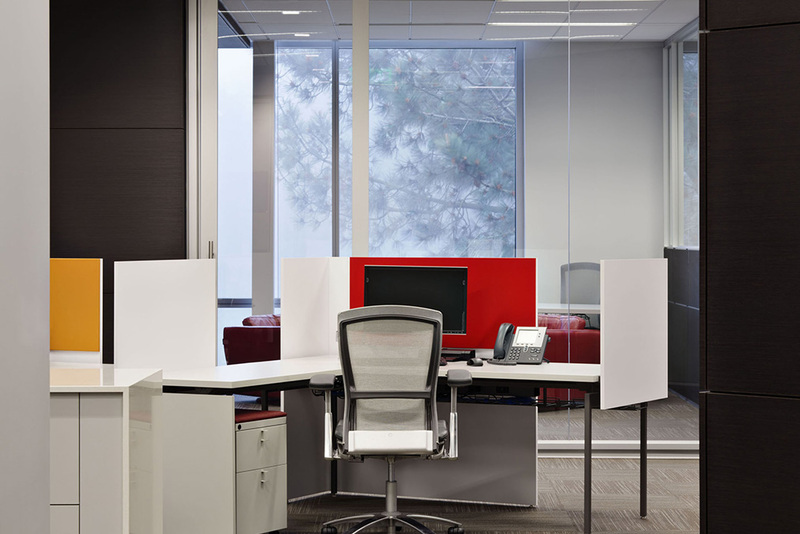 As a tenant improvement in an existing building, Ligand wanted to elevate its design yet create a good companion to the balance of the facility. 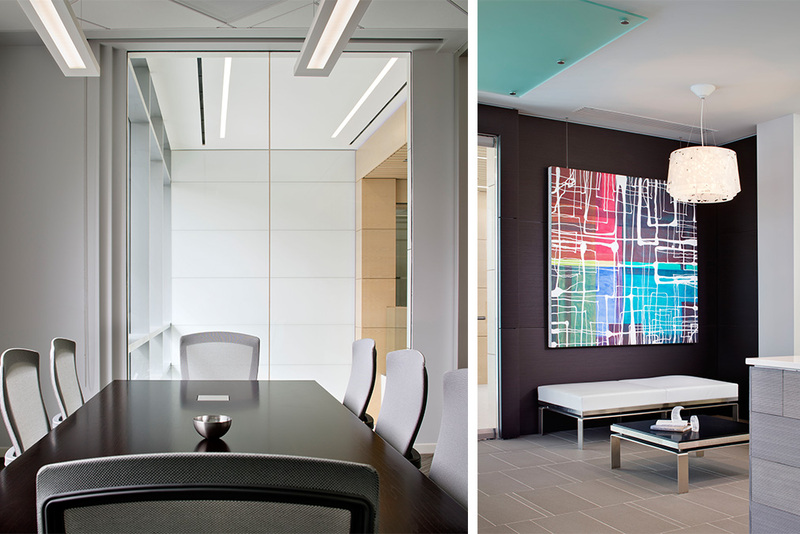 Working closely with the shell architects, FPBA carried common area finishes into the lobby and transitioned to Ligand-specific materials within its space. 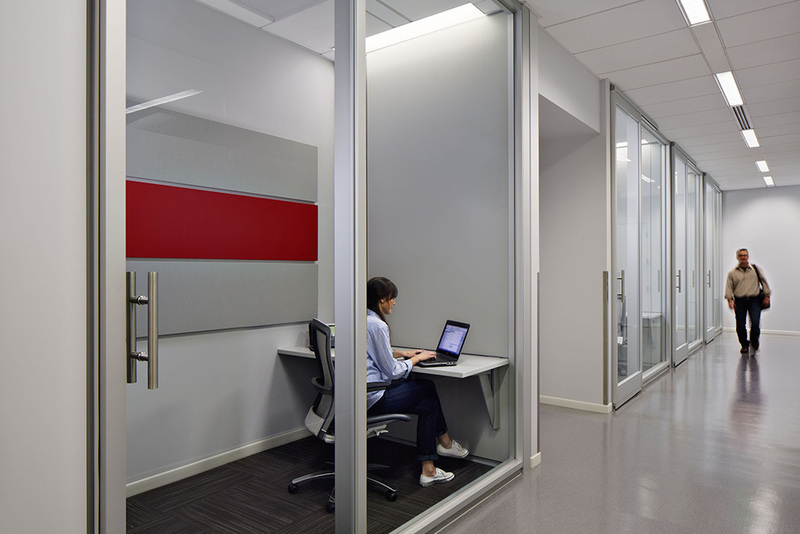 To meet the needs of both Ligand and the landlord, interior walls were modularized and employed demountable partitions including sliding doors, back-painted glass, fabric acoustical panels, vision lights and AV chases all within one system. 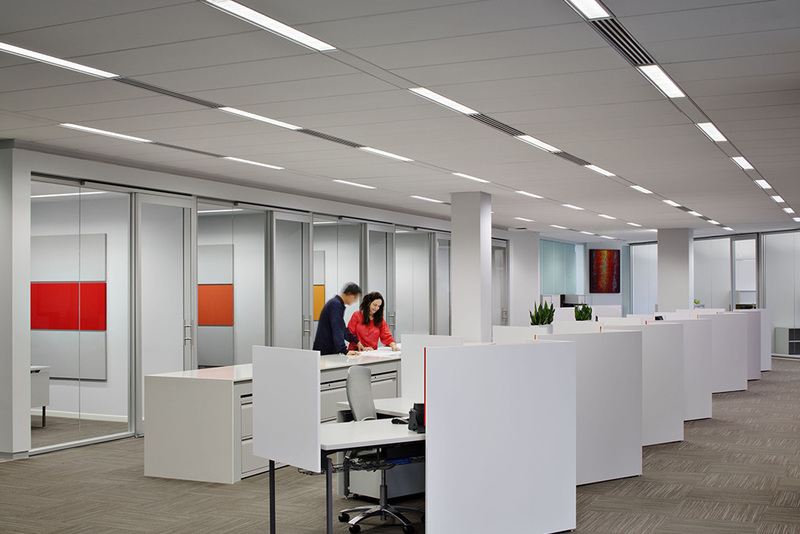 This allowed both Ligand and potential future tenants to readily reconfigure the interiors as needs and standards evolve.